I’ve been dreaming of making this Persian dish ever since I first devoured it while visiting area restaurantsfor the Foodbuzz 24, 24, 24 event I did. 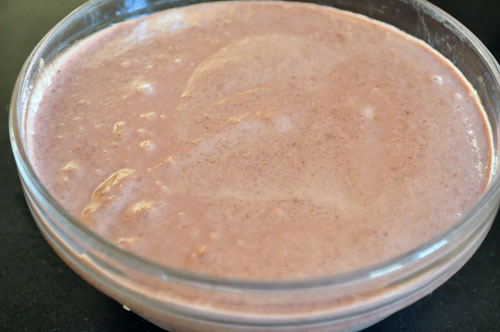 I did a number of internet searches, and it seemed pretty straightforward – a sauce is made by grinding walnuts very finely then sort of pureeing them with pomegranate syrup and the meat is simmered in this sauce. 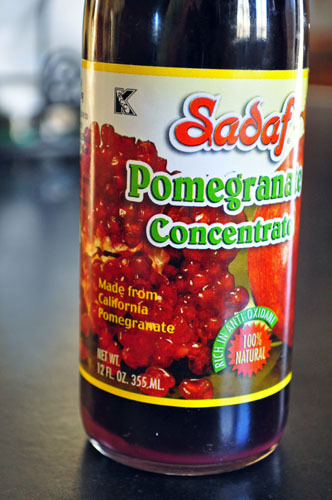 I spied a bottle of the pomegranate syrup (not readily found I might add, so you can reduce juice to make a thicker syrup) this weekend and knew I was ready to give it a go. 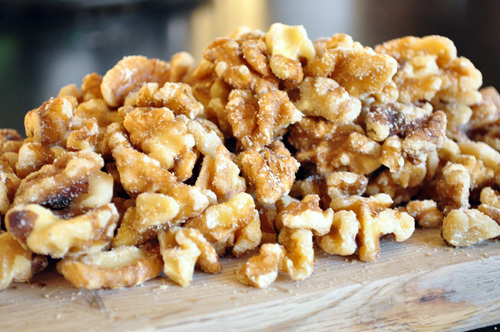 Luckily I also found a large bag of walnuts in the freezer (always store nuts in the freezer so they don’t go rancid due to their high oil content) and I’m on a mission to clean out as much from myÂ kitchen as possible before I leave for Italy. Grind up the nuts until they are really fine like this in a food processor, then add the pomegranate syrup, brown sugar (to offset the tartness of the pomegranate) and just enough chicken stock to make a nice smooth sauce. You can adjust your level of tart-sweet at this point – add some squeezed lime juice if you want more tartness, or a bit more sugar if you want it sweeter. It almost looks like the sauce has cream in it, but it’s just the creaminess from the oils in the walnuts. 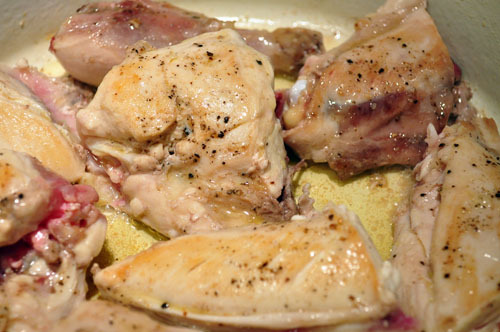 Grab your chicken – I used a whole chicken and cut it up (because I had it) but you can use any combination of breasts legs or thighs, just be sure to keep it on the bone for flavor. You’ll want to take the skin off for this recipe. Season it well with salt and pepper and sear it in oil in a large heavy bottom pot. When it’s nicely browned, remove it to a plate… …while you cook the onions for a couple of minutes in the drippings. Add the rest of the chicken stock to scrape up the flavor from the bottom of the pan. 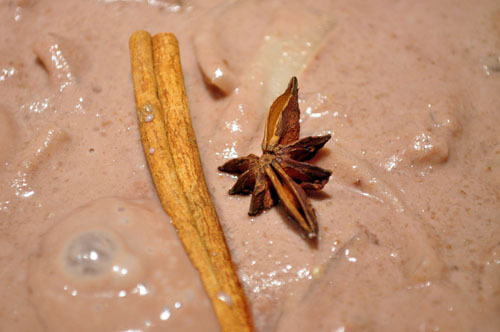 Then add the walnut-pomegranate sauce to the pot, along with a sitck of cinnamon and one star anise. I think the dish I had from the restaurant, based on its color, might also have had a bit of turmeric or saffron in it, so add that if you have it and feel like it. Return the chicken to the pot, make sure it’s submerged in the sauce, cover it, and either simmer on the stove until cooked or bake it in the oven until it’s done. Not bad for one of my global improv dishes! I’m serving this tonight over saffron steamed jasmine rice. Yum. 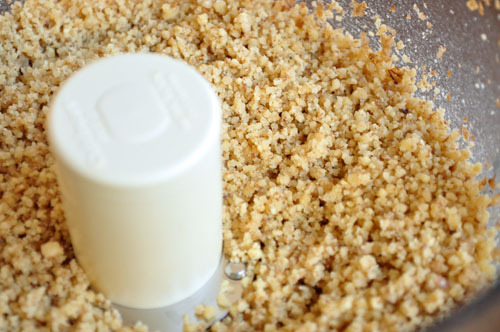 Place walnuts in food processor and process until very finely ground. 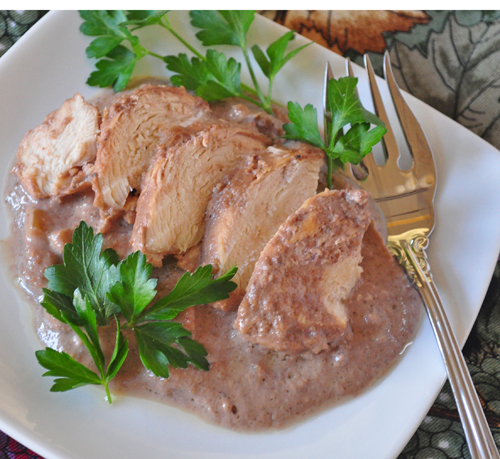 Add pomegranate syrup, brown sugar, and 1/2 of the chicken stock and puree to make a creamy sauce. Set aside. 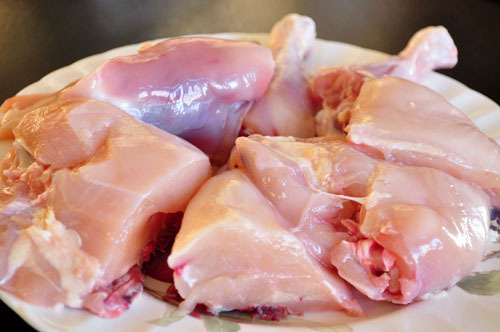 Season chicken pieces well with salt and pepper. Heat oil over medium high heat in a large heavy bottom pot and brown chicken well on both sides. 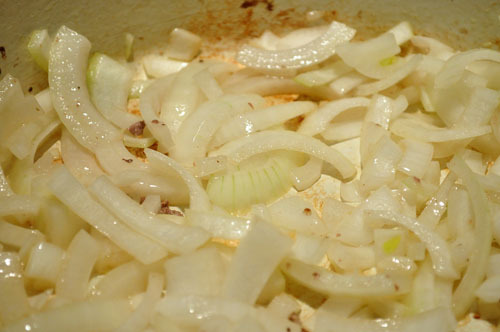 Remove chicken to a platter and add onions to the pot. Cook for 2-3 minutes, just until slightly softened. 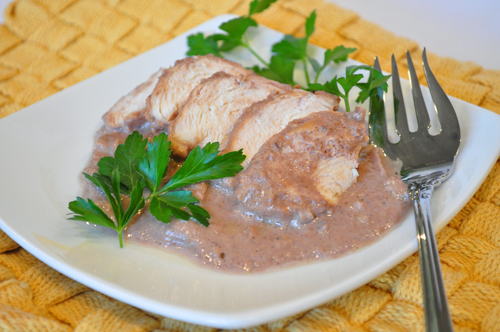 Deglaze pan with remaining chicken stock, then add walnut sauce to the pan; stir to combine. Return chicken to the pot, nestling in the sauce, cover, and simmer until chicken is cooked through, about 20-30 minutes. Alternatively transfer pot to the oven and bake until chicken is cooked through. I haven’t done much Persian cooking, but have experimented generally with food from the Middle East. I like what I’ve tried and this sounds good. It reminds me a bit of romesco sauce from Spain which is made with ground almonds and tomatoes. Lucky you going to Italy! We went year before last — lovely!